Dr. Joy Kimmons, associate professor in the M.Ed. program, was recently featured in Salama Ministry’s Newsletter as a Superstar Spotlight. 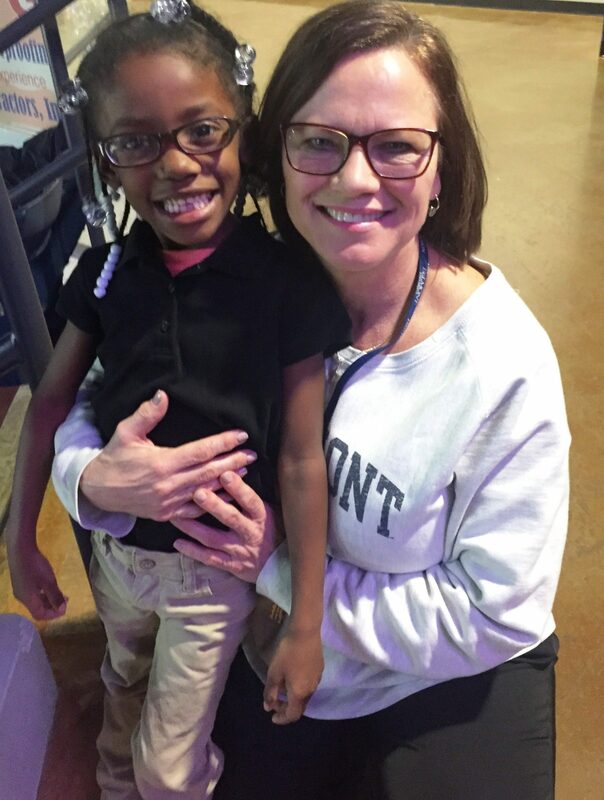 Kimmons is partnering with Salama for the fourth consecutive year to bring her students to the ministry as tutors for the Ministry’s K-4 students. Through this program, not only do the young students at Salama receive individualized tutoring, but Kimmons’ own class receive on-site classroom experience. Approximately 150 Belmont students have served more than 3,500 hours at Salama, and Kimmons has even created an internship for interested PR students. Kimmons holds a B.A. and M.Ed. from Middle Tennessee State University and Ed.D. in educational leadership from Peabody College of Vanderbilt University. She has taught courses in educational psychology, educational research, child development, middle school perspectives, educational tests and measurement and gifted education. Her current research interests include promising practices in teacher education, developing and sustaining learning communities and alternative licensure.